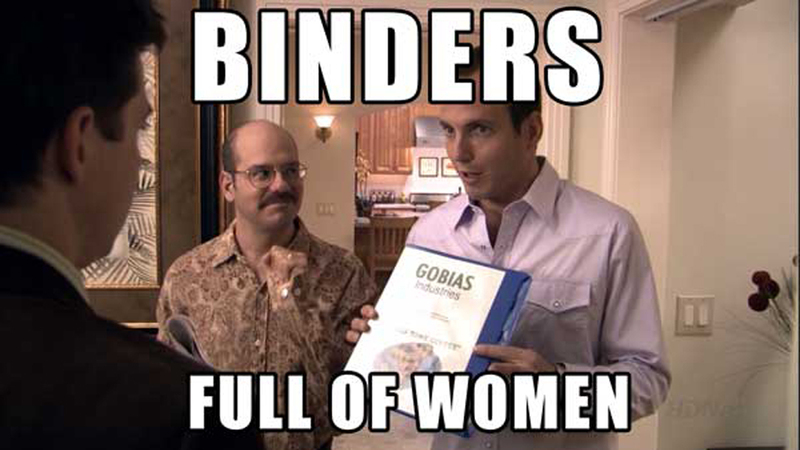 Liberals on the Internet have latched on to the “binders full of women” statement from Mitt Romney at the 2nd Presidential Debate… but I think most have missed the point. Even a bunch of the folks pointing out that liberals are missing the point… are often missing the point, in my opinion. 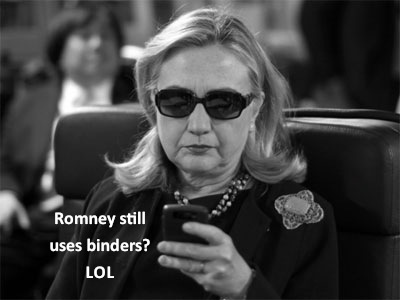 Liberals are talking about how his “binders full of women” shows his faulty thinking about women, and I agree. His statements about who women need to have flexible work schedules, so they can make it home to cook dinner, shows the flaws in his thinking. So, I’m not saying those other liberals are wrong in their condemnation of his statement, but I’m not seeing nearly enough people talking about the REAL problem with this answer. Instead, Romney talked for two full minutes in response to the question and NEVER talked about equal pay for equal work. Why? It’s simple. Romney DOES NOT believe in Equal Pay for Equal Work, regardless of whether it is for women, for black people, for gay peole, for whomever. Romney does not support the Lilly Ledbetter Fair Pay Act of 2009 which allows women to sue when they find out they have been discriminated against even though they’ve been doing the same work. I remember reading an interview with Paul Ryan (but due to the saturation of Binders Full of Women on the internet I’m having a hard time finding that interview) where Ryan explained his feelings on equal pay for equal work for women. His attempt to spin it was about not having the government dictate salaries for private business and such. I’m sure on the surface that makes a lot of sense to conservative folks, but the problem with it is that it supports racial, gender and sexual orientation discrimination when it comes to equal work for equal pay. 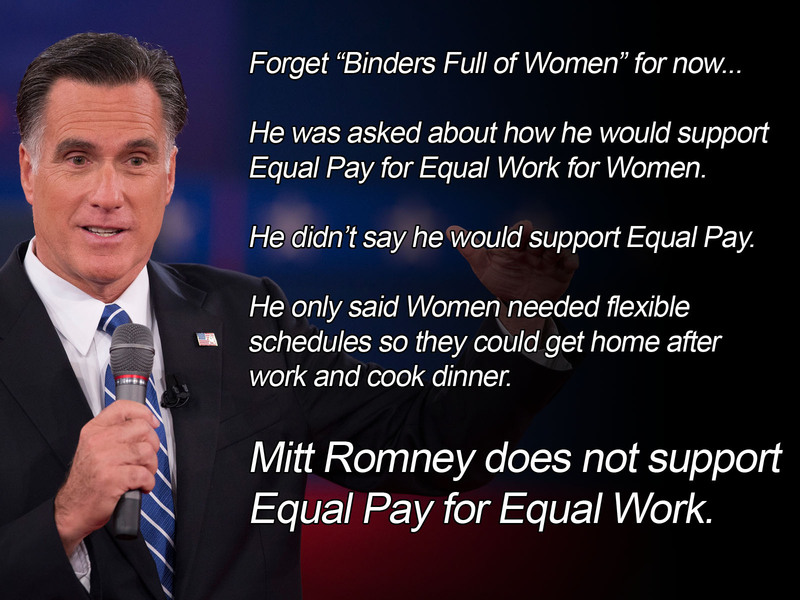 MITT ROMNEY DOES NOT SUPPORT EQUAL PAY FOR EQUAL WORK.